The snug fit of Women's Nike Power Running Tight provides coverage for your run with a supportive feel and mesh panels to keep you cool as you power through to the finish line. 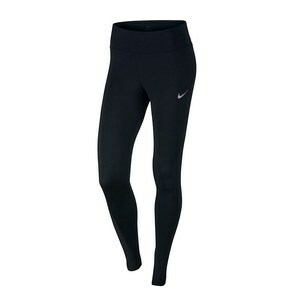 Made with Nike Power fabric that provides compression and support, while the full-length tight provides coverage and warmth and the mesh fabric behind the knee and side panels enhance ventilation. Reflective elements help enhance visibility in low light conditions and the zippered pocket on the back has a waterproof membrane to help keep items dry.